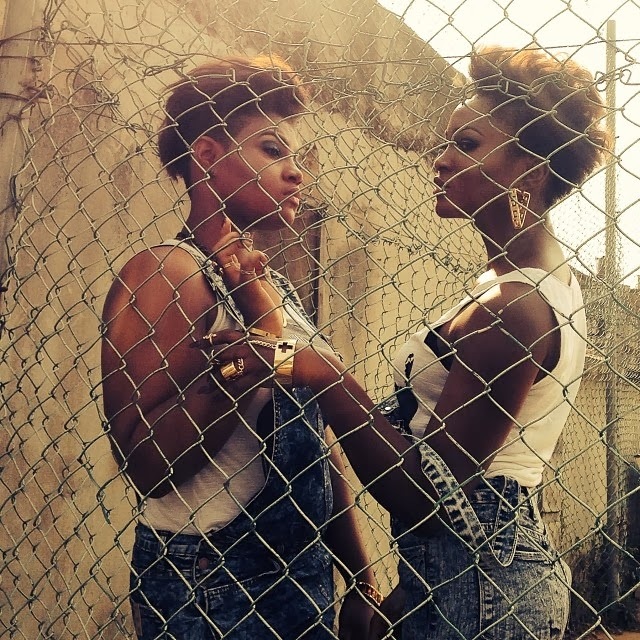 Rapper, Eva Alordiah, shared this photo of herself with her ‘Twinnie by association’. They are seen rocking fierce get-ups of matching stone-wash, denim pinafore with white sleeveless tops and gold accessories,with identical hairdo and make up. They are actually not twins,but the striking resemblance tho! They look so much alike right?